"When I was in my early years (ﬁrst through ﬁfth grade) learning disabilities were an unknown entity. Those of us that had these problems were simply viewed as unintelligent, and from my perspective the greatest sadness was that we viewed ourselves the same way....I was told that I couldn’t go to medical school, that I couldn’t be a doctor." – Fred Epstein, M.D. - pioneer in pediatric brain surgery and author of If I Get To Five - What Children Can Teach Us About Courage & Character; had dyslexia. • frequently responds with what? or huh? • hearing-impairment commonly suspected despite normal hearing tests results. Nearly 20% of the US population struggles with learning disabilities. When individuals with learning disabilities do not receive adequate support and intervention, secondary emotional difﬁculties – including depression and low self-worth - can occur. More troubling, unidentiﬁed and untreated learning disabilities can lead individuals to follow negative paths, such as quitting school, becoming addicted to drugs or alcohol, or engaging in criminal behavior. Indeed, as many as 60% of our prison inmates are estimated to have learning disabilities. Of course, this is not to say that all individuals with learning disabilities lead hopeless or unsuccessful lives. In fact, some of the most well-known inventors, scientists, business leaders, and artists – including Schwab, Einstein, DaVinci, Edison, Disney, and Rockefeller - have learning disabilities. They succeeded despite their learning disability largely because they discovered their passion and used it along with their inner will and drive to overcome their adversity. At Lemon Tree, we prefer to believe that these accomplished individuals succeeded BECAUSE of - and not despite - their learning disabilities. 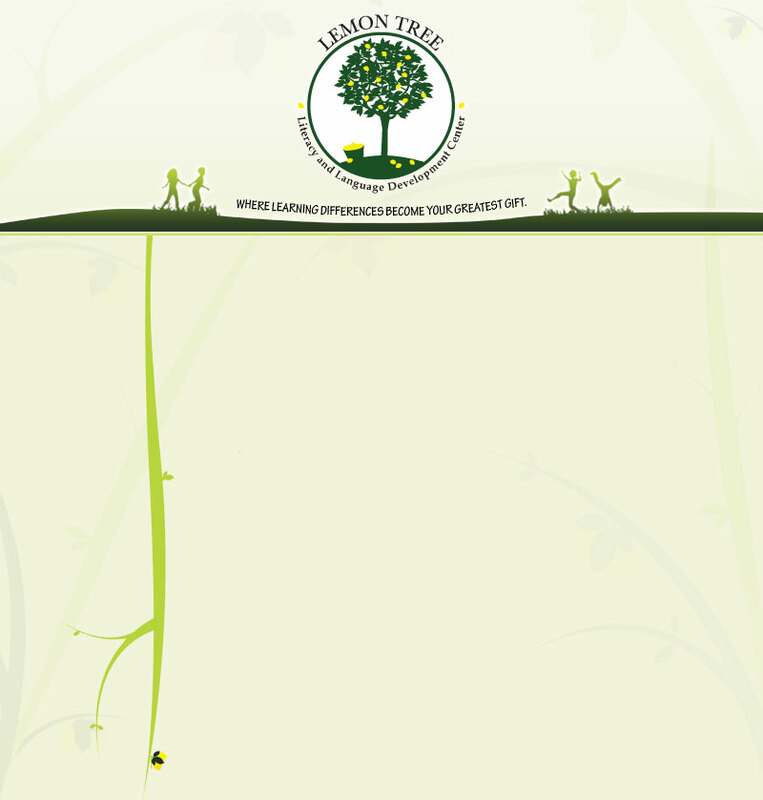 A paramount goal at Lemon Tree is to help our students identify their gifts as learners and discover their passion. We believe becoming in tune with your passion and innate gifts is the perfect formula for squelching adversity and experiencing success.